A quaint and humble little house with the bare necessities. A cool and relaxing deciduous forest behind the bungalow. These are the two most precious properties your grandfather has left you. You are his favorite grandson and thus let you inherit these things. At first, you did not think much of it. However, the busy and fast-paced life of the big city has worn you out. You then tell yourself that you are not really living a fulfilling life. After giving it much thought, you decide to resign from your desk job and live a peaceful life at your grandfather's memento. 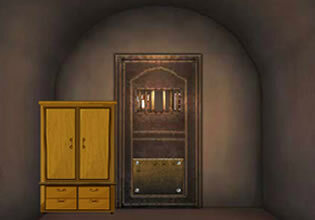 Deciduous Forest Escape is a fun and relaxing point and click escape game created by Mirchigames. 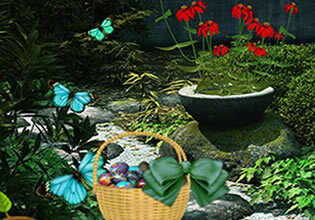 In this escape game, you are exploring a certain deciduous forest. 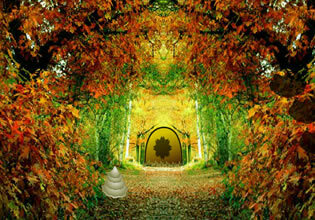 You are not entirely familiar with the place so you wander inside. After hours of walking around, you decide you have had enough. Weirdly, you cannot find the way back. You then see a note laying around. It is from your grandfather. 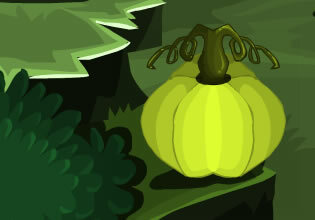 The note says that it is not your ordinary deciduous forest. Moments later, you begin to understand what your grandfather meant. 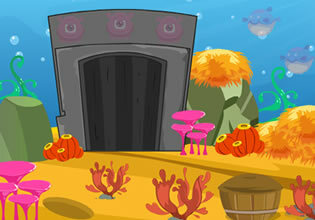 In order to find your way out, you must point and click through the numerous puzzles throughout the forest. Good luck and may you escape before the sun sets!